Police in a drive arrested two people, including the wife of the owner of the building in Patartek area where six suspected militants were killed in an operation, under section 54 of the Code of Criminal Procedure (CrPC) from Patartek here on Sunday night. The arrestees were identified as Osman Goni, brother of the house owner Solaiman Sarkar and Salma Begum, wife of Solaiman, UNB reports. 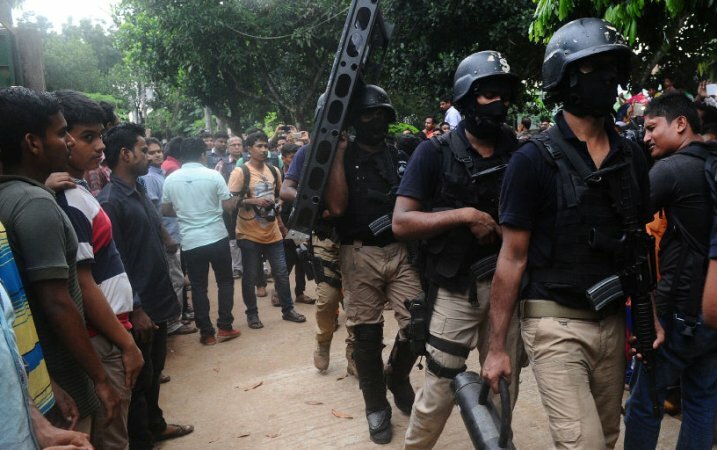 Police conducted a drive at the house in the night and arrested them in connection under section 54 in connection with Patertek incident, said Harunur Rashid, superintendent of Gazipur Police. Earlier, on Sunday, police filed a case with Joydebpur Police Station against eight people, including the house owner. Police also sealed off the house. Seven suspected militants, including Neo JMB commander Akash, were killed during a drive by the police's counter-terrorism unit at a house in Patartek on Saturday.